HERE’S another one of those clever Aussie inventions that leaves us thinking why anyone didn’t think of this before? 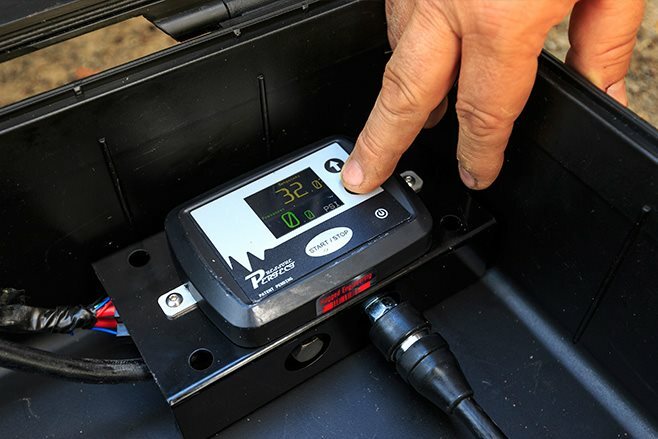 Pressure Perfect takes the simple set-and-apply tyre inflation system that you use at service stations and puts it into a compact unit that can be fitted to any portable 12-volt air compressor (or into your 4×4 vehicle). 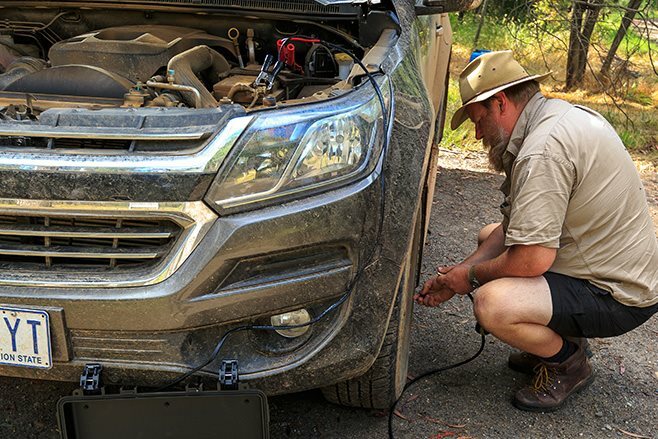 A 12-volt air compressor and a quality tyre pressure gauge are two pieces of kit any 4x4er should purchase. 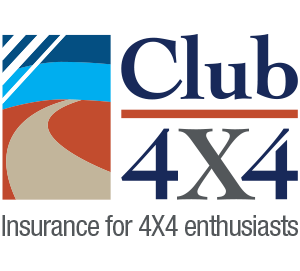 The varied terrain we cover in 4x4s requires different tyre pressures for optimal driving conditions and protection of the tyres themselves, so it pays to keep tabs on what’s going on inside your tyres. Designed and made in Melbourne, the Pressure Perfect module can be mounted direct to your compressor, in your engine bay, or elsewhere on your 4×4. The module has an LCD readout screen and simple up and down buttons that can be used to set the desired tyre pressure. When the set pressure is reached, an audible beep – loud enough to be heard from the other side of the vehicle – sounds. This is just like the systems you find in most service stations, and it gives accurate and easy-to-use tyre pressure adjustment. By linking the tyres on the vehicle together you can adjust the pressure on two or more of them at the same time; however, the speed at which they pump up is dependent on your compressor and its capacity. A higher flowing compressor is going to give you faster results. 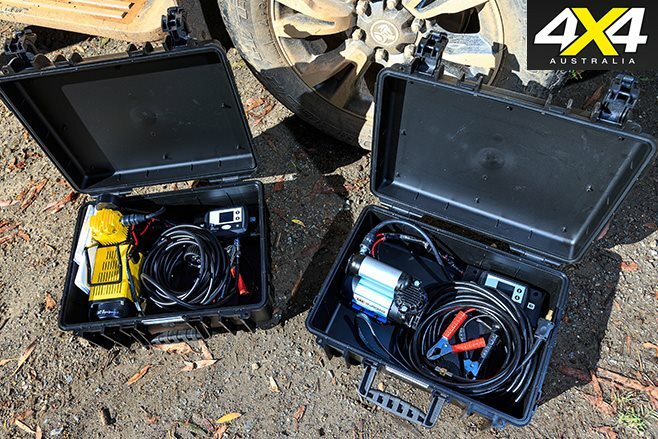 We trialled a couple of Pressure Perfect mobile units hooked up to an ARB and a TJM compressor. Firstly we simulated dropping road pressures down to 15psi, as you might for sand driving – set the display to 15psi, hook the hose up to the tyre and hit the start/stop button. The module takes an initial reading to see what’s in the tyre and then drops the pressure in stages until the set pressure is reached. Deflating one tyre at a time by this method was tedious and certainly a lot slower than we would normally spend using a Currie-style EZ deflator that pulls the guts out of the Schrader valve. It made more sense with two tyres hooked up at the same time, but it was still slow – it would be worthwhile doing all four tyres at once. Next we set the Pressure Perfect module to a road setting and pumped a tyre up. Again, the unit takes a pressure reading and then inflates the tyre to the set pressure before letting you know it’s there with a beep. It takes a little longer than the compressor would without using the Pressure Perfect module, but that time is made up because you’re not stopping to check the pressure as it inflates. And you don’t have to squat down by the tyre while it’s operating, so it’s easy on old knees. Hooking two tyres up at once took a while to pump up, but as stated the limiting factor is the output of the compressor. A big pump like the ARB twin set-up or one using a storage tank would be quicker. One of these units would be ideal when mounted in a vehicle with a high output compressor and an air tank, and you could then plumb multiple outlets to two or even four tyres to get the most of the hardware. You’ll want to make the most of it, as the Pressure Perfect is not a cheap piece of kit. Just the module alone sells for $375 (or $425 when mounted in a hard plastic case with all the hardware, except the compressor itself). Complete, ready-to-use portable kits are available for $550 (with a 75L/min compressor) or $730 (with a 150L/min pump). There is a range of accessories available for setting up your own in-vehicle kit. We Say: Simple and easy to use. Umm, I use a simple pressure regulator in my Hilux. Set it to the tyre pressure I need and walk away. No need to check where its up too or listen for beeps. The compressor will stop when the pressure set point is reached. All this is is a digital pressure switch going by the description here – it doesn;t even stop the compressor when the desired pressure is reached – something my little regulator will do.